Fluoride is a naturally occurring mineral and is essential for tooth development and the prevention of tooth decay. Most of us have access to fluoride in our drinking water; however, it may not be a sufficient amount. That's one reason why your family dentist may recommend a fluoride supplement for your child and/or the use of toothpastes and other dental products that contain this important mineral. At Bluff Creek Dental, our Chanhassen family dentistry professionals can assess if your child needs more exposure to fluoride to ensure a healthy mouth and advise you on the proper course of action to get it. The protective outer layer on your teeth, called enamel, is often subject to attacks from acids found in certain foods and beverages like sodas and citrus fruits. Additionally, sometimes decay-causing bacteria trapped in the mouth creates acid from sugar. This bacteria congregates in dental plaque and feeds on sugar that is not cleansed from your child's mouth. In metabolizing (breaking down) sugar, the bacteria produce acids that can eat through tooth enamel. This is how cavities form. However, when fluoride is present it becomes part of the crystalline structure of tooth enamel, hardening enamel and making it more resistant to acid attacks. Fluoride can even help repair small cavities that are already forming. Children can ingest fluoride through drinking water or supplements. The fluoride will then be absorbed by their newly developing permanent teeth. 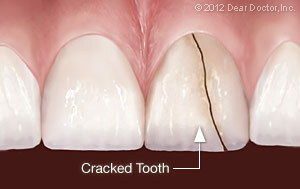 Once a tooth has erupted, it can be strengthened by fluoride topically (on the surface). Our family dentists usually recommend toothpastes with fluoride to ensure your child's teeth receive daily fluoride exposure. We suggest using only a pea-sized amount of toothpaste for children ages 2 - 6 and just a tiny smear for any children under this age. Fluoride should not be used on children younger than 6 months of age. At Bluff Creek Dental, we can administer the most beneficial topical fluoride for your child right here in our Chanhassen, MN office! We can paint it right onto your child's freshly cleaned teeth then let it sit for a few minutes for maximum effectiveness. Newly forming teeth that are over-exposed to fluoride beneath the gum line can develop a condition called enamel fluorosis, which is characterized by a streaked or mottled appearance. Mild fluorosis takes the form of white spots that are hard to see. In more severe cases (which are rare), the discoloration can be darker with a pitted texture. The condition is not harmful, but may eventually require cosmetic dental treatment. Tooth decay, on the other hand, is harmful to your child's health and can also be quite painful in severe cases. The risk for fluorosis ends by the time your child is about 9 when all the permanent teeth have fully formed. Our family dentists would be happy to discuss how much fluoride your child needs and in what form as his or her teeth develop. Call for Your First Consultation! Healthy teeth are important at all ages, but parents must be especially careful to make sure their children develop healthy permanent teeth. As a family dentistry offering pediatric dentistry services, we want to do everything in our power to protect your child's teeth and ensure proper dental development. This development begins with fluoride. At Bluff Creek Dental, our friendly family dentists and staff can confirm if your child is receiving an adequate amount of fluoride, and if not we can administer fluoride in the most effective way possible. Contact us or stop by our office to schedule a consultation for your child today! The dentists and staff of Bluff Creek Dental make it their number one priority to care for their Chanhassen, MN patients using the latest technology and oral health initiatives. That includes keeping your mouth free of disease and preserving your original teeth. However, there may be a time when you or your child will need to have a tooth removed, perhaps due to tooth overcrowding, damage, a stubborn baby tooth, or future orthodontic treatment.When this occurs, you can count on our trusted Chanhassen family dentistry to provide high-quality, professional service that will efficiently and expertly remove your tooth. You may not realize it, but your teeth are actually only attached to your jaw bone with fibers that can be carefully loosened to free the tooth. So, regardless of the level of difficulty, tooth extraction is a common occurrence that our family dentists can easily help you with. Drs. Schold and Smars are extremely experienced in performing tooth extraction procedures for patients of all ages. Impacted Wisdom Tooth - At Bluff Creek Dental, our family dentists monitor you and your child’s teeth from your first visit as a child throughout adulthood. Through routine exams, we can keep an eye on your wisdom teeth to ensure that they are moving into your mouth as they should. However, when wisdom teeth become impacted, or don’t push through the gums properly, they can damage your healthy teeth, gums, jaw bone, and nerves. 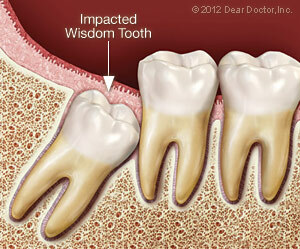 In this case, your dentist may recommend extracting the wisdom tooth before its roots are fully formed. Overcrowded Mouth - Our family dentists will extract teeth when there is just not enough room in your mouth for the teeth that are coming in, or in preparation for braces or another form of orthodontic treatment. Orthodontists often need the additional space in the mouth gained by tooth extraction for your remaining teeth to be moved and aligned in the proper way. For orthodontic treatment, the teeth that are usually removed are the first premolars, next the canines or eyeteeth. Medical History. Your family dentist will review your medical history to make sure you are healthy enough for the procedure and discuss anesthesia options with you. Then your appointment will be set. Recovery. Your recovery time should be minimal at our Chanhassen office. Immediately after the tooth extraction, your dentist will apply pressure with sterile gauze for 10 - 20 minutes to control any bleeding. A few small stitches may also be utilized. In most cases you will want to have someone drive you home and take it easy immediately after your extraction. At Home. Our family dentists may prescribe antibiotics to enhance healing and make sure that your tooth extraction doesn’t result in infection. 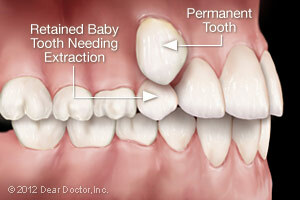 Patients routinely encounter some mild swelling or irritation after a tooth extraction. You may want to take ibuprofen or other anti-inflammatory drugs to ease this discomfort. You may also want to use ice packs on the outside of your jaw and eat softer foods until the discomfort subsides. Within a few days your mouth should be back to normal. Call Your Chanhassen, MN Family Dentistry Today! If you think that you may need a tooth extraction, contact Bluff Creek Dental and speak with our experienced and skilled family dentists to learn what options may be right for you. Call (952) 679-6360 to make your appointment and become a member of the Bluff Creek Dental family. Drs. Schold and Smars and their staff are all here to help answer any questions you may have about tooth extraction and your complete oral health. Together, we can help you maintain a healthy mouth that will result in a happier, healthier you!